As a software provider located in BC, and the changeover date for the new HST fast approaching I have been trying to get some straight answers about how it applies to my business. This turned out to be harder then I would have thought and the answers I eventually got were most surprising! The following should help anyone in BC or Ontario in a similar non-tangible goods service industry. If I sell to someone in BC and the software will be used in BC or all of Canada then they pay the BC HST (12%) - simple enough, and exactly what I would expect. If I sell to someone in Ontario and the software will be used in Ontario then I charge them the ON HST (13%) - ok this was a surprise! If I sell to someone in Quebec and the software will be used in Quebec or across Canada then I only charge them the GST (5%) - confused yet... wait it gets better! If I sell to someone in Quebec and the software will be used in Nova Scotia then I charge them the Maritimes HST (15%) - still with me? So now that this is all perfectly clear... (ya right) Now I understand why it was hard to get a straight answer. I ended up needing to speak with a GST/HST Rulings officer at the Canadian Revenue Agency to get this all explained. 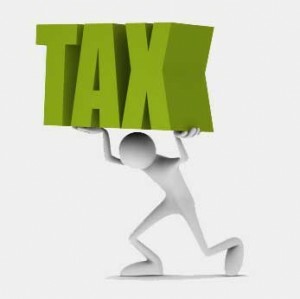 The ´thought process´ here is that the tax charged is based predominantly on where the software will be used. Tack on to that the concept that if the goods are going to be used in many provinces then for simplicity (and I use the word lightly) they just assume it´s where the goods were purchased (billing address). All kidding aside - I truly hope this helps other businesses sort out the coming HST nightmares. "unlike the previously explained place of supply rules for intangible personal property that can only be used primarily in participating provinces, these proposed rules can result in the supply of intangible personal property being deemed made in a province that is not a participating province."